West Virginians, Act Now For the Water! This week, the WV Senate will vote on SB 163, which concerns updates to water quality standards, rules that protect our water. If you’ve been following the news, you know that legislators have been placing the desires of big polluters above the needs of ordinary West Virginians. 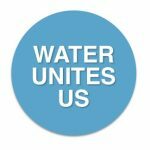 Our good friends at West Virginia Rivers Coalition have posted a concise background on what’s been going on here, and easy way to take action here. Please follow the links and take a few minutes to contact your state senators right now. Learn more about this and other issues at E-Day! This Thursday, February 7, we hope you can join us at the WV State Capitol for WV Environmental Council’s annual E-Day! It’s double the fun, because this year’s tabling includes both environmental justice groups and all manner of social justice advocates. Join E-Day! starting at 9:30 a.m. in the Upper Rotunda outside the House Chamber and the Senate Chamber. Besides all the tables, we’ll have speakers and a press conference, so there’s loads of opportunities to learn more about the issues we face, the bills we support, and the bills that should not make it to the Governor’s desk. 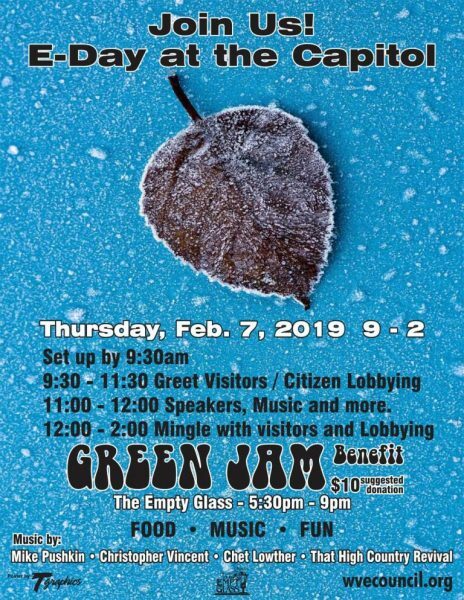 After all that, at 5:30 that evening, come continue the networking and mix in some celebrating at E-Council’s Green Jam at the Empty Glass. If you’d like to volunteer for an hour or so at OVEC’s table, please contact robin@ohvec.org right away. Get Your E-Activism on In Advance of E-Day! Sign this petition calling on the Senate to block and resist Andrew Wheeler’s confirmation as EPA administrator. On these two nights, join the First Congregational UCC and OVEC for free screenings of these two powerful documentaries, starting at 6:30 p.m. at the UCC, WV 701 5th Avenue, Huntington, West Virginia, 25701. Snacks and drinks available, with discussion to follow the screenings. Things move quickly during the WV Legislative Session. Please follow WV Citizens for Clean Elections Facebook and Twitter feeds, as well as E-Council’s Facebook and Twitter, and OVEC’s Facebook and Twitter feeds. Check our home page often, too, as we update the calls to action frequently.